Saliva is a fluid produced and excreted by the salivary glands, which are located all around the inside of your mouth, including on your tongue, lips and cheeks. Small amounts of saliva are continuously released into your mouth to make sure it remains moist. You have probably noticed that your mouth produces more saliva when you smell, see or even think about food, as well as when you’re about to eat. This because your brain gets your mouth ready to eat! Saliva plays a part in the digestive process by keeping food moist and soft, and allowing it to slide down your throat more easily, but it also contains the enzyme amylase that helps to break down starches. Saliva also contains water, mucous (hence the sliminess), proteins and minerals. Studies have found that saliva helps to protect against gum disease and tooth decay, while also covering your teeth with a protective film that acts as a defence against bacteria ― saliva contains antimicrobial properties that help kill bacteria. It also helps to flush out small bits of food and assists in neutralizing food acids reducing the risk of tooth enamel erosion. 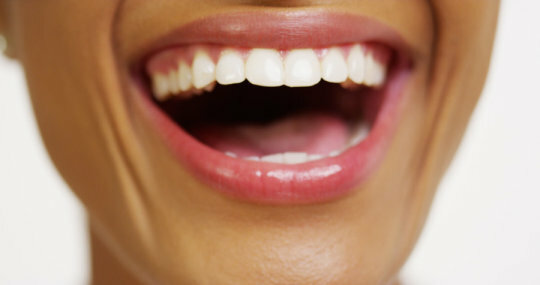 There are also minerals carried within saliva that help to rebuild enamel if it gets damaged by acid. Dry mouth or xerostomia occurs when there is not enough saliva being produced. It can be the result of a number of causes, including health conditions or certain medications. Saliva production also decreases as your age, so as you get older you should think about scheduling more preventive dentistry appointments (not less!). Inadequate saliva production can lead to various complications from gum disease, tooth decay and higher susceptibility to infections, to difficulty swallowing and digesting food. Not to mention the discomfort. For more information on the role of saliva or assistance with managing issues with dry mouth, schedule an appointment with your Patrick, Miree and Magdalena at Moss Vale Dental. You can call our friendly practice today on (02) 4869 3111. We’re always here to help improve your oral health.